The Nexus 1262/1272 meters are designed for demanding smart grid and intelligent substation applications. They provide one of the most profound analyses of electricity available in a socket meter. The units offer extensive advanced monitoring features to meet the most critical power monitoring requirements. Using advanced DSP technology, the Nexus' measure immediate and stored revenue power data coupled with superior power quality and communication. To meet the sophisticated standards required by utility companies and de-regulated power providers, the Nexus' basic package starts where most other meters end. 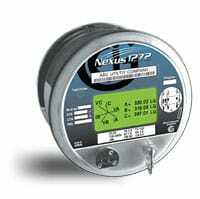 Standard features in Nexus units provide the ability to meet advanced metering needs for the future. EIG's Accu-Measure™ Auto-Calibrating Metrology provides unmatched accuracy. The unit is a full four quadrant meter and gathers hour data information in every quadrant. Loss Compensation adjusts for both copper and iron losses with a simple user setup. Using standard pulse inputs, the Nexus 1262/1272 can count pulses from external meters and accumulate usage. The pulse inputs can be used to totalize electrical usage and utility values, such as water or gas use data. The Nexus units compensate for errors in current transformers and potential transformers. The Nexus 1262/1272 simultaneously monitors five demand structures. The units gather demand information for all power values. Each value is date/time stamped. The Nexus 1262/1272 is designed with one of the industry's most advanced LCD display configuration technologies. With this highly customizable display, choose from multitudes of pre-programmed display screens and create fully customized displays for any specific application. Build, from scratch, user display screens as needed that provide information on anything the meter measures (which is almost everything). Use the display to view not only electrical, but water or gas usage. Also use the meter as an aggregator for total usage. Provide ambient and transformer temperature or any other desired critical operational data on the display. The meter's memory has 75 slots for custom and/or pre-programmed screens. 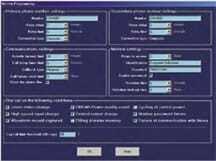 These slots can be allocated to any view mode with any number of slots used in each of the modes. The meter provides an infrared test pulse that can pulse for +Watt-Hour, -Watt-Hour, +VAR-Hour, -VAR-Hour and VA-Hour. This pulse uses a time modulated pulse integration, allowing the pulse to be accurate during short duration pulse tests using industry accepted reference standards. Connect multiple external I/O Modules for enhanced I/O capability. Total Web Solutions is an advanced Ethernet communication architecture allowing you to design custom webpages, display metering data and host your meter power information website directly on a Nexus meter. The Nexus meter directly hosts the web data without any need for dedicated server software, ActiveX Controls or Java Applets. The meter does the data collection, the formatting and the page hosting. EIG's WebExplorer provides you with direct access to all power data through Internet Explorer in standard HTML format, without needing to download ActiveX controls or Java applets. WebExplorer is fully programmable, so you can customize your own SCADA quality webpages, graphics and configurations. Creates Real Time Data in XML Format. 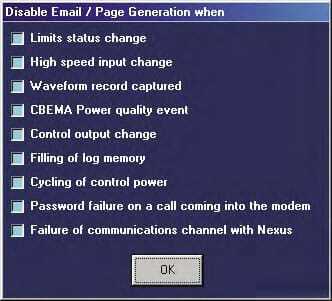 WebXML allows the Nexus meter to gather data from the Nexus Host or through other meters and put the data directly into an XML format. This allows you to share data through the web with multiple applications and create custom webpages, using WebExplorer. WebXML technology is easy to configure and extremely flexible. With WebXML, your data is instantly available to a host of software applications including Internet Explorer, Excel, Power Point and Word. With EIG's exclusive WebReacher technology, you can now access remote meters around the world, retrieve data and consolidate it onto one webpage or website without any separate software SCADA package or client-side ActiveX controls or Java applets. EIG's WebAlarm sends real time email alerts via the Internet to up to 9 recipients simultaneously for any combination of event notifications. Using this feature, you can gain access to the meter speaking native DNP over Ethernet. This allows the unit to open an exclusive network socket for DNP 3.0. Using this unique technology, all other meter web features are available simultaneously. Even with DNP 3.0 over the Ethernet, you still have access to multiple Modbus sockets, email alarms, web servers and many other communication features. (Open Architecture 3rd Party Integration) The 10/100BaseT design allows the unit to speak with 12 simultaneous sockets of Modbus TCP. EIG's WebMod features Modbus TCP open protocol that can be easily integrated with most other software or hardware. And, with the built-in Modbus data concentrator, you can poll up to 8 devices or 512 unique polling items from any device that can speak Modbus RTU and/or Modbus TCP protocols. The processing capability and accuracy of the Nexus 1272 makes it possible to gather power quality information with unmatched precision. The Nexus 1272 is ideally suited for application on all critical loads. From health care to micro-electronics, the 1272 has what it takes to capture every anomaly. This insures that when there is a power problem, you have the information required to act. 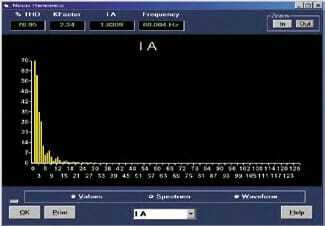 All Power Quality logs are time stamped to the nearest millisecond to insure accurate recording. Nexus' Advanced Download Logic collects only new data to minimize download times. 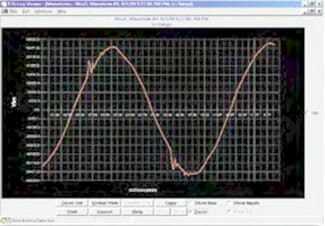 The waveform recording capability of the Nexus is unparalleled by any meter. 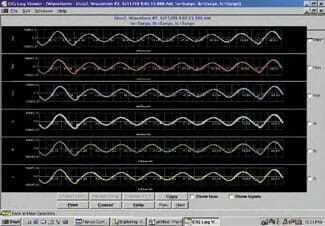 Waveform records of this quality have historically been reserved only for transmission lines. The power of the Nexus 1272 now makes this quality available to your critical customers. 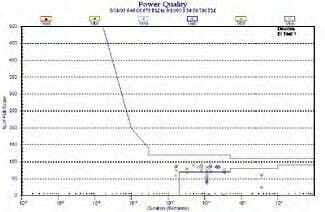 The separate CBEMA/ITIC Log captures all voltage transients that fall outside these standards. The onboard log holds 1024 events. The data is downloaded to a separate log in the meter database for easy analysis. 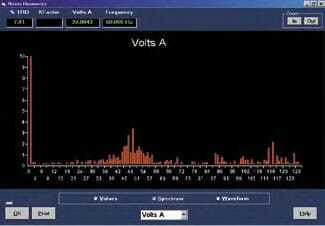 See all voltage disturbances on one screen through the Communicator EXT software.